Do you ever feel yourself starting to react … see where you could pull out, but instead the reaction takes over? Astrologically, this is Uranus for everyone—but of course, you’re taking the lead. Don’t worry though: Uranus is spiritualizing—meaning it can be tough at the time, but if it doesn’t undo what is, that which continues without heart and substance cannot be sustained. Thus it’s rewarding to go ahead and stand behind your truest reflection this week. Ruled by Venus, you have an inborn magnet to attract the beautiful and delicious. This week, the Sun and Venus merge in your partnership sector. Whether it’s a significant other or a business buddy, they’re likely to be on overwhelm. Be patient: when these planets move to your sector of shared resources, you’ll be gifted. If you’re single, be glad—the secrets spinning in the air won’t be your responsibility to keep. While work is always … well, work, it’s still the best way to define your independence. Your ruling planet Mercury goes direct this week and you’re off and running. Being true to yourself may not net every goal you have, but it will attract the ones that reflect you—in that lies a level of comfort you deserve. The Sun and Venus merge in the early stages of your work sector, which may bring a bonus. Let this positive reflection become your ticket to freedom. The balance is in the stars, but also in the focus you give expression to. Luckily Cancerians tend to follow their heart, even when the logic of the situation hasn’t arrived. The Sun enters your sector of romance to intensify the love you may already be feeling. Friday and Saturday, the Moon stops by in this area to help you assess your deepest feelings. Venus connects with the Sun to make all that’s beautiful even more so, just for you. Leos are all heart. You can’t help yourself—you’re the light in people’s life, the friend who inspires confidence. Woe be to anyone who crosses you—and right now it might feel like that’s the case. 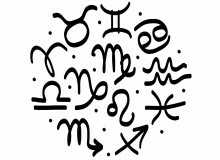 With so many planets in square aspect to your sign, there are undercurrents that can’t yet be shared. The Sun and Venus combine to intensify your desires. It may seem you’re not getting enough of what you want, but it may show you what you want most of all. You may not be feeling totally free of strings pulled this week, as the heavyweights in your communication sector heighten your laser focus. Both the Sun and Venus enter this realm, giving a rosy glow to … secrets? Yes, there is a quiet undertone. If you’re not in the loop, thank your lucky stars—literally! You really don’t need to spend your energy, currently very clear with Mercury now direct, caught up with the latest scandal—unless you’re in it. 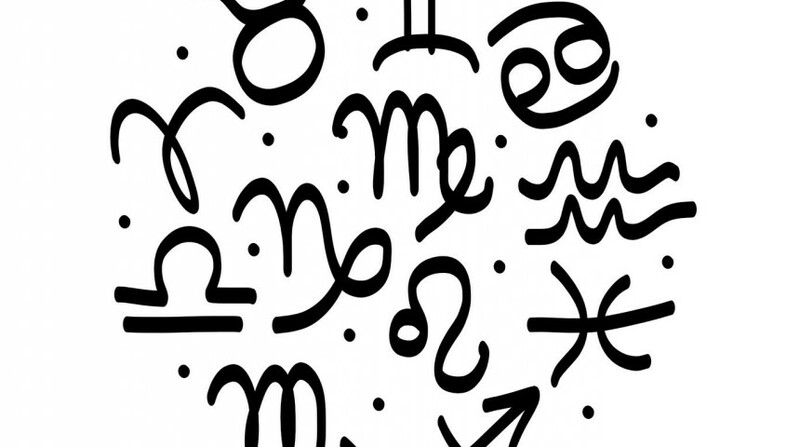 Mercury moves direct; all those planets in your financial sector suddenly swing in your favor. The Sun enters this area and shines light on just what you were hoping to find. Venus enters too, and you know what that means: Comfort and body treats—spas, a massage or hot stone therapy, a possible bonus at work—or both. While final decisions have been slow in coming, they are also better. Discussions find results starting midweek. Congratulations and happy birthday! The Sun has now entered your sign, creating a Scorpionic high cycle for the next four weeks. This luminary joins Venus, Pallas Athene, Saturn and Ceres (and the Moon over the weekend). 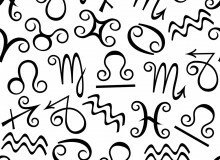 Right now you are the planetary heavyweight of the zodiac. You have more power than you think: what you discuss can turn things around, what you choose can make an impact—and you will … and you do. Does it ever seem like reality is playing tricks? First you see it, then you don’t. It’s as if the material realm is pulsing in and out, and you’re finding where you best fit in. There’s a heavy preponderance of planetary energy in your solar twelfth house … so, ouch. Suddenly all that forward drive slows down. However, Mars leaves your sign and enters your financial sector, which turns out to be a big sigh of relief. Money—yes! Two steps forward, one step back—and now, your friends are asking you to levitate? Pluto literally has just gone direct; give a Capricorn some time! Your manifesting skills are legendary, true, but earth-building is still a step-by-step approach. The warmth and security you offer friends and loved ones includes a path of discretion. With whom and to whom you share incurs some very large rewards—some of which are a secret. This is your week to make money—or be noticed, or enhance your career. The Sun enters this sector to add heart to everything you do. The Moon connects on Friday and Saturday, bringing layers of feeling. Venus then meets with the Sun, putting her goddess clout into the picture. She insists on beautiful surroundings, food that tastes out of this world and tender treatment in everything romantic. This can easily be a momentous, memorable week! This is your week to keep your feet on the ground and act like an earth sign, even though you are not. Neptune in Pisces fills you with feeling, which is necessary for any parched earth. But have you tired of bobbing up and down in someone else’s ocean? Does recent feedback say your investments are worth your time and energy? Mercury goes direct this week. What do you want more than anything? Chances are your mystical energy can conjure up just what you seek.